Ruben Arevshatyan is an artist, art critic and independent curator. He is president of AICA-Armenia and teaches at the Contemporary Art Institute, Yerevan. In 1997–2004, he was artistic director of Hay-Art Cultural Center, Yerevan. In 2004–2013, he was lecturing in art history at the Arts Department of the Armenian Open University, Yerevan. He has published widely on contemporary art, architecture, and theory – mainly around topics of urban and cultural transformation focusing on Post-Socialist contexts. He is member of the editorial board of www.red-thread.org e-journal. He has curated and associated a number of projects like Great Atrophy, Parallel Reality, Local Modernities, Soviet Modernism 1955-1991/Unknown History, Trespassing Modernities, A Parallel Modernity (as part of the framework of the São Paulo Biennale 2014, Brazil), etc. In 2011, he was co-curator of Manuals: Subjects of New Universality, the Armenian National Pavilion at the 54th Venice Biennale, and in 2014, he was co-curator of The Capital of Desires, the Armenian National Pavilion at the 14th Venice Architecture Biennale. Coauthor and co-curator of Sweet 60s international research project. Lives and works in Yerevan, Armenia. A Swiss citizen of Armenian origin, Mrs Cüberyan von Fürstenberg is a renowned international curator, winner of the Golden Lion for the best National Participation at the 56th Venice Biennale, for her curatorship of the Armenian Pavilion (2015), winner of the Swiss Grand Prix Meret Oppenheim, 2016. 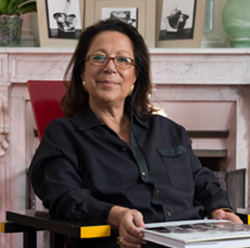 A pioneer in the field, she is known for broadening the scope of contemporary art. She was one of the first curators to show active interest in non-European artists and established a signature multicultural approach to art. With her unique vision of contemporary exhibitions, she has placed art in spaces such as monasteries, madrasas, large public buildings, squares, islands, and parks, as well as museums and institutions. Her works strive to provide a larger context for visual art by making it a more vigorous part of our lives, creating a vivid dialogue between art forms, while relating art to global social issues. She is the founder and first director of the Centre d’Art Contemporain in Geneva, Switzerland. Her work as director of the Magasin – Centre National d’Art Contemporain in Grenoble, France, and its School of Curators was internationally recognized with an award at Venice Biennale in 1993. She organized numerous large-scale exhibitions around the world including Dialogues for Peace to mark the United Nations’ 50th anniversary in 1995 (Geneva, Switzerland). In 1996, she founded ART for the World, an NGO working with contemporary art, independent cinema and human rights. In 2008, she was appointed by UNHCR and the European Commission to produce Stories on Human Rights, 22 short fiction films for the 60th anniversary of the Universal Declaration of Human Rights. In 2013, she served as chief curator of the 4th Biennale in Thessaloniki, Greece. Her most recent curatorial projects include FOOD (2013–2015) at the Ariana Museum (Geneva, Switzerland), SESC Pinheiros (São Paulo, Brazil), and MUCEM (Marseille, France), and Here Africa (2014–2016) at Château de Penthes (Geneva, Switzerland), and SESC Belenzhino (São Paulo, Brazil). Lives and works in Geneva (Switzerland). Viktor Misiano was born in Moscow, Russia in 1957. From 1980 till 1990, he was curator of contemporary art at the The Pushkin State Museum of Fine Arts in Moscow. From 1992 to 1997, he was director of the Center for Contemporary Art (CAC) in Moscow. He curated the Russian participation in the Istanbul Biennale (1992), the Venice Biennale (1995, 2003), the São Paulo Biennale (2002, 2004), and the Valencia Biennale (2001). He was on the curatorial team for Manifesta I in Rotterdam in 1996, and in 2010 – 2014, was chairman of Manifesta International Foundation. In 2005, he curated the first Central Asia Pavilion at the Venice Biennale. In 2007, he curated a large-scale exhibition project Progressive Nostalgia: Art from the Former USSR at the Centro per l’arte contemporanea (Prato, Italy), Benaki Museum (Athens, Greece), KUMU (Tallinn, Estonia), and KIASMA (Helsinki, Finland). His latest exhibition projects are Ornamentalism: Latvian Contemporary Art, collateral event of the 56th Venice Biennale, 2015, and Elective Affinities at the National Centre for Contemporary Arts (Moscow, Russia), 2015. In 1993, he founded Moscow Art Magazine (Moscow) and has been its editor-in-chief ever since. In 2003, he founded Manifesta Journal: Journal of Contemporary Curatorship (Amsterdam) and has been an editor there since 2011. 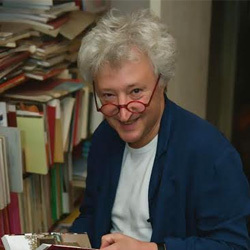 Viktor is author of many articles, catalogues, and books including ‘Other’ and Diverse (Moscow, 2004), and Five Lectures on Curatorship (Moscow, 2014). He holds the Honorary Doctorate from the Helsinki University for Art and Design. He lives in Moscow (Russia) and Cisternino (Italy). Born and living in Jerusalem, Israel, curator and producer Jack Persekian is the founder and director of Anadiel Gallery and the Al-Ma’mal Foundation for Contemporary Art in Jerusalem. 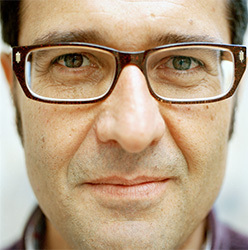 His previous positions include: director and head curator of the Palestinian Museum (2012–2015), director of the Sharjah Art Foundation (2009–2011), artistic director of the Sharjah Biennial (2007–2011), and head curator of the Sharjah Biennial (2004–2007). 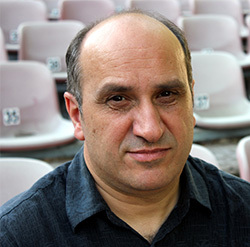 Jack is the founder and artistic director of The Jerusalem Show, Al-Ma’mal Foundation, Jerusalem (since 2007) and Qalandiya International (2012–2014). He curated the following exhibitions: Disorientation II, Manaret Saadiyat, Saadiyat Island (Abu Dhabi, UAE, 2009); Never-Part, Bozar (Brussels, Belgium, 2008); Dubai Next, co-curated with Rem Koolhaas at Vitra Design Museum (Weil am Rhein, Germany, 2008); Reconsidering Palestinian Art (Cuenca, Spain, 2006); Disorientation – Contemporary Arab Artists from the Middle East, Haus der Kulturen der Welt (Berlin, Germany, 2003). Additional productions and artistic direction include: The Palestinian Cultural Event at the World Economic Forum in the Dead Sea, Jordan (2004), and the Millennium Celebrations in Bethlehem – Bethlehem 2000, Israel (1999–2000). Christina Steinbrecher-Pfandt was born in 1983 in Kazakhstan. She finished her studies at Maastricht University, the Netherlands, with a BA in International Business, and continued to study at Manchester University, UK where she graduated with a Master in Contemporary Art in 2007. In addition to her role as the artistic director of Art Moscow from 2009 to 2012, she also co-curated the exhibition “Unconditional Love” in the framework of the 53rd Venice Biennale and was a member of the curatorial team for the 3rd Moscow Biennale 2009. From 2011 to 2012 Christina Steinbrecher-Pfandt was the artistic director of the Moscow House of Artists, and in 2012 she participated as the curator of Platform Moscow in the Berliner Festspiele. Christina Steinbrecher-Pfandt has also been the curator and head of the Sputnik Art Foundation since 2010 and has held an executive function for the Innovation Prize of the National Centre for Contemporary Art, Moscow since 2011. She was responsible for the artistic direction of VIENNAFAIR The New Contemporary together with Vita Zaman in 2012 and 2013.In 2014 she was the sole artistic director in charge of VIENNAFAIR The New Contemporary. In December 2014 she became the artistic director of viennacontemporary. Lives and works in Vienna (Austria).